Before I had kids, I could do a lot of things. I could stay up all night and sleep in the next day. I could eat a hot meal in one sitting. I could walk through my living room in the afternoon without stepping on a toy. I had time to exercise, and I didn't have to worry about leaks while I did it. Yes, moms, you know what I'm talking about. Maybe it happens to you when you sneeze or cough. Or maybe when you laugh. Isn't that the worst? You're having a great time, laughing with friends, and you have to excuse yourself. Ladies, I have great news for you. There's a new product called Poise Impressa that helps prevent leaks. Really! Keep reading to see how it works and read my busy mom exercise plan. I live and die by my planner. It goes everywhere with me. If it's not written down, it just isn't happening. I also have a white board for my daily plan that includes homeschool, important work projects, and the kids' extracurricular activities. I started writing my exercise time down and what I'm doing that day and I assign it a time. No more Oh, I can bump that until later. I ran out of time, I guess it goes to tomorrow. Not anymore. Exercise is written in pen dry erase marker at 8 a.m.
Because we homeschool, I have to schedule recess time for the kids. I make them go outside to get fresh air for 30 to 45 minutes after lunch. They usually ride their bikes while I walk or ride my bike with them. When we go to the park, I walk the walking track. Luckily, our park has a walking track around the playground, so I can keep a close eye on them while they play. When my kids were little, we would park at the opposite end of the park and walk half a mile to the playground and I would watch them play and then we would walk back to the car. In the evenings, we talk a family walk around the farm or play a game outside. I used to exercise while my kids were napping, but then I realized that I'm setting an example for them. 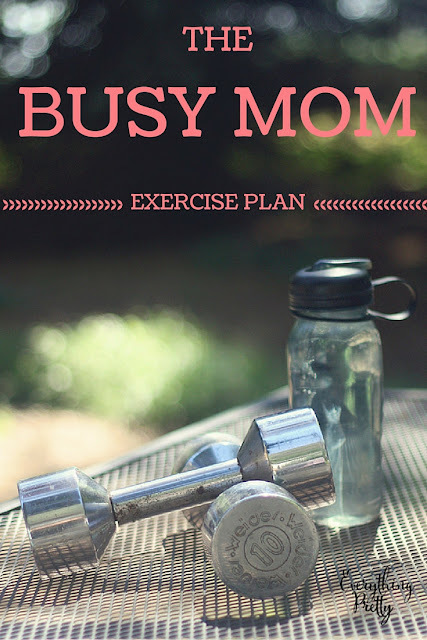 They see my exercise time on my calendar in the homeschool room, and they see me exercise. They know that it's a priority for me, and they also see me having fun while working out when I play with them. As I said, exercising after giving birth can be a little tricky. That's why I am loving the new Poise Impressa products. Instead of wearing a bulky pad, they work differently to stop leaks and not just catch them. You wear them internally for 8 hours a day, and you don't need to take them out to use the restroom. Although Poise Impressa looks like a tampon, they do not absorb leaks. They prevent them. They work for leakage due to exercising, sneezing, coughing, dancing, or laughing. I got mine at CVS while I was doing my weekly shopping. 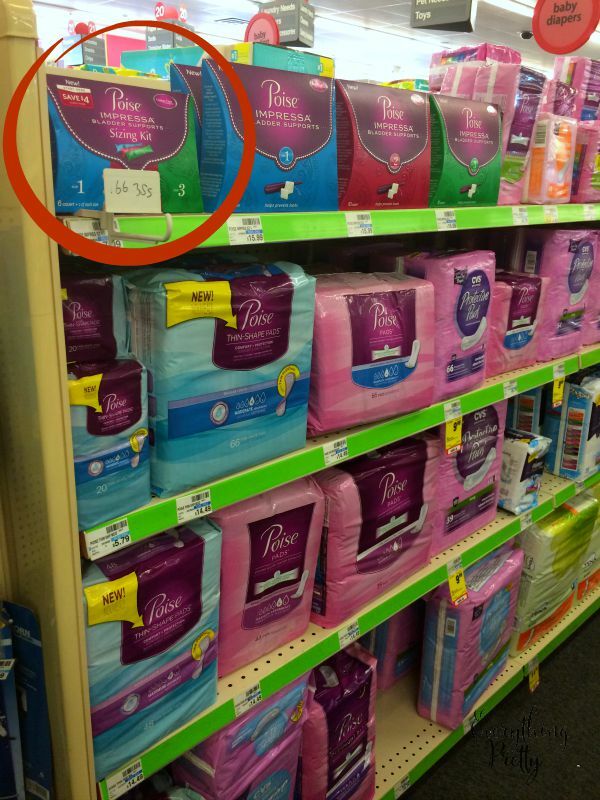 They are on the shelf with the urinary incontinence items by the pharmacy. Be sure to get your coupon here to use on the Poise Impressa Sizing Kit at CVS. When you buy the sizing kit, you get three sizes to try. You'll start with size 1 and insert it like you would a tampon. It expands to support the urethra once you have it inside. If you don't have any leaks, then this is the correct size for you. Otherwise, try size 2 and finally size 3 if needed. The size doesn't have anything to do with how much you leak or how much you weigh; it's based on the best fit for your body. After eight hours, remove it like you would a tampon and discard. For more information on how it works, click here. Thanks to Poise Impressa I can exercise without worrying about leaks! What will you be able to do with Impressa?